Today we’re going to talk about heart failure. It’s a sobering topic given that over 20 million people world wide are currently suffering from this disease. Heart failure happens when the body’s heart can no longer pump blood effectively, which can lead to many nasty side effects and inevitably hastens death. Typical strategies for treating heart failure focus on managing symptoms and delaying disease progression. But for patients, many of whom are elderly, a life of chronic management and frequent hospital stays is daunting. They deserve better. Here’s where stem cell research could provide new treatments for heart failure. Some stem cells can be coaxed into new heart tissue that could repair damage and restore heart function. While other types of stem cells can release factors that facilitate the development of new blood vessels or that reduce tissue scarring, both of which improve heart function. Some of these treatments are being tested in clinical trials (for instance CIRM is funding a stem cell trial for heart disease sponsored by Capricor Therapeutics), although none have been approved yet. But there’s good news on this front. Today, the Gladstone Institutes published a study in Cell Stem Cell describing a new method for making transplantable heart stem cells that improved heart function in mice and could potentially treat heart failure in humans. The goal of the Gladstone study was to generate a specific type of heart stem cell called a cardiovascular progenitor cell that could survive and develop into the different types of mature heart cells to improve heart function when transplanted into mice. Using technology previously developed in the lab of Gladstone Professor Sheng Ding, the team used a cocktail of chemicals to turn skin cells into cardiac progenitor cells (CPCs). These cells are like stem cells but specific to the heart and thus can only make heart cells. The CPCs they made had two important qualities: they could be expanded in a culture dish for multiple generations and they could develop into the three main types of adult heart cells (cardiomyocytes, endothelial cells and smooth muscle cells) that are required for heart regeneration. Because of their ability to replicate and to become adult heart cells, they named these cells induced expandable cardiovascular progenitor cells or ieCPCs. They transplanted ieCPCs in mice that had suffered a heart attack and were pleased to see that 90% of engrafted cells (the ones that survived and stuck around) developed into functioning heart cells that worked seamlessly with the existing heart cells to improve the damaged heart’s ability to pump blood. From a single injection of one million ieCPCs, the improvements in heart function lasted for three months. Another benefit to ieCPCs was that they did not generate tumors when transplanted. This can happen with non-heart stem cells or with cells derived from pluripotent stem cells. What does the future hold for ieCPCs? A heart attack can kill more than one billion heart cells, and while the heart has some regenerative ability, it cannot replace that many cells on its own. The Gladstone study is exciting because it provides a new population of heart stem cells that can be expanded in a dish to generate a large donor population of stem cells for transplantation. Additionally, their new method opens the doors for generating patient-specific stem cell treatments. 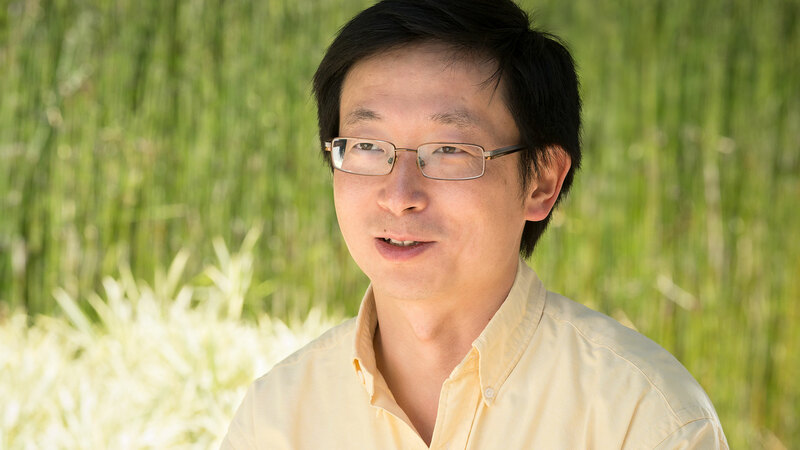 Sheng Ding’s lab is one to watch if you follow research in stem cell biology and regenerative medicine. We recently blogged about a different but equally important study from his lab where he made functional pancreatic beta cells from skin as a potential cell therapy for diabetes. I hope that his team will ultimately be able to translate their current research in both diabetes and heart disease towards clinical applications in humans.